DK Sushi's Valentine's Day box. Made plans to have no plans Valentine's Day? If you're staying in, alone or with your sweetheart, you may want to pick up dinner from DK Sushi at Franklin's Table, the food hall on University of Pennsylvania's campus. 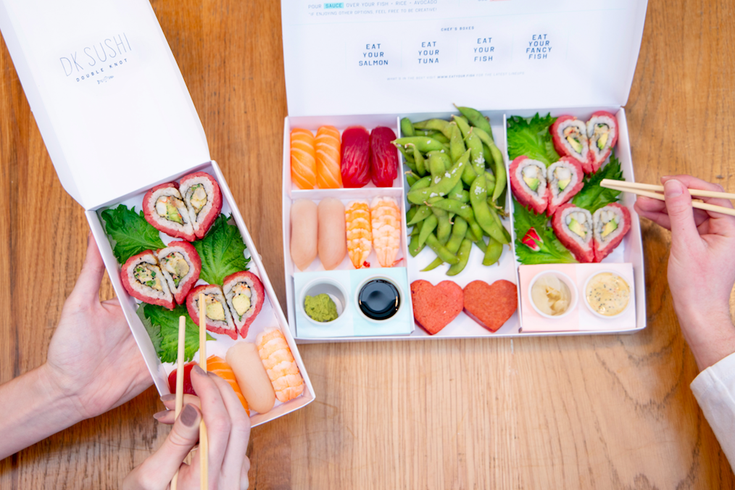 The fast-casual version of Midtown Village's Double Knot is celebrating the holiday by offering heart-shaped sushi rolls. There are two special Valentine's Day boxes you can choose from, which can be enjoyed at the eatery or taken to-go. Franklin's Table is located at 3401 Walnut St., Philadelphia, PA 19104.